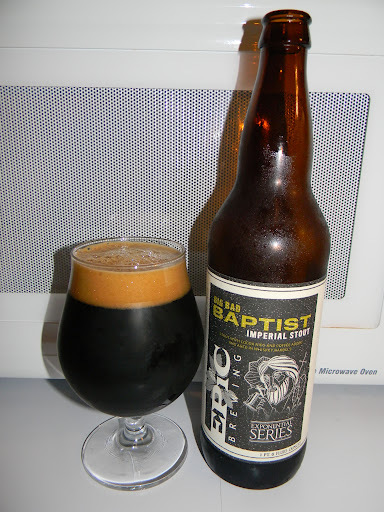 April | 2012 | Beer Apprentice - Craft Beer News, Reviews, Interviews and Info. Hello everyone. For today’s craft beer review I’m going to trying the 2011 Pere Jacques brewed by the Goose Island Beer Company located in Chicago, Illinois. I’ve never tried this particular Goose Island beer before, but I’ve heard quite a few positive things about it, so I decided to pick up a bottle and give it a go. 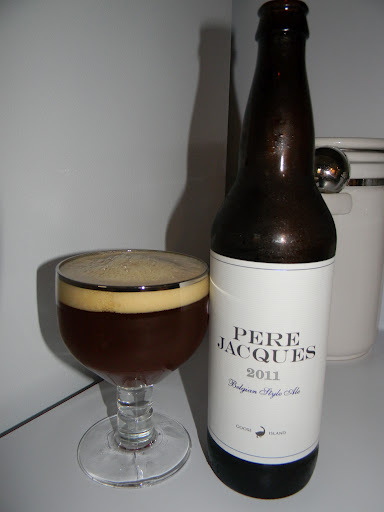 From the website, gooseisland.com, we find this description of the Pere Jacques. This brew comes in a 22 oz. bottle and it has an ABV of 8.0%. It poured a very nice, semi-clear, reddish/burgundy to brown color. The crown was decently sized, off white, smooth, creamy and soft. The retention time was good and lacing looked nice enough. A small amount of alcohol legs were found when I tilted the chalice as well. The nose brought forth a decent waft of dark fruit. Figs and raisins. A bit of clove along with a light touch of caramel malt. Some breadiness, yeast and sour dough were accounted for also. The overall aroma wasn’t quite as boisterous as I though it was going to be. It was still well balanced and harmonized, but just a touch docile in my opinion. The taste let the dark fruits loose again. Mostly figs and raisins. Spices of clove and very light bits of pepper. I received a taste of the alcohol also. It actually tasted a tiny bit medicinal. Some of that was erased when the bready and yeasty components came into play however. The sweetness was very subdued. I really wasn’t getting a whole lot of the caramel malt to be honest. Toward the end, after the brew had warmed to room temperature, I started to detect the slightest bit of woodiness. A very nice little treat as I neared the end of the bottle. The mouthfeel was medium bodied. Mostly smooth, dry and somewhat chewy. 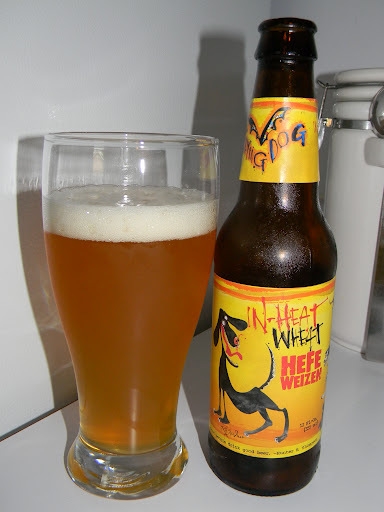 The carbonation was good and a touch of warmth was felt at the back end. An agreeable amount of flavor was left covering the palate after each sip too. Well. This beer was “ok”. I definitely think it’s worth a try. It’s a legitimate Dubbel for sure, however I just didn’t find that it had the “power” or the potency that some of the others that I’ve tried of this style have. It had a lot of the proper characteristics though and it was fairly easy to drink once I got past the medicinal/cough syrup taste. I think that it would pair well on a cool night or as an after dinner sipper that’s for sure. Don’t take my word for it though, pick up a bottle of Pere Jacques 2011 and let me know what you think of it. I just felt that it fell a bit short. I will say that I do love the simplicity of the label however. One of the coolest out there in my opinion. Thanks for reading and commenting everyone. It’s always appreciated.